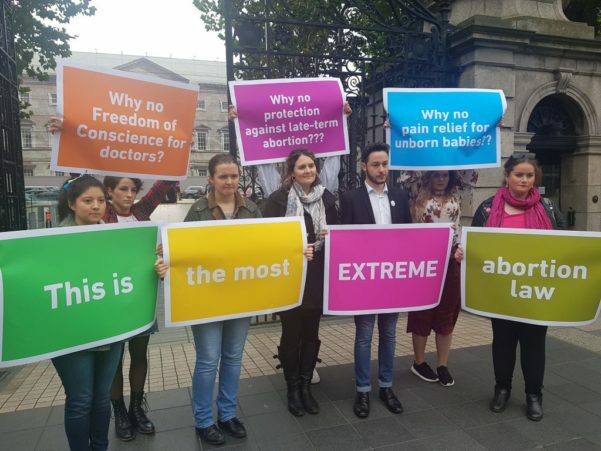 The abortion Bill presented by Minister Simon Harris contains a provision for conscientious objection that is too limited. It should be expanded so to include all medical professionals. It should take into account the profound changes that this Bill will introduce, which require more rigorous safeguards for healthcare workers who value the lives of both pregnant women and their unborn children. This is a “cut and paste” from the Protection of Health in Pregnancy Act, 2013, which allows abortion in emergencies, when there is a risk for the life of the mother, or when there’s a risk of suicide. The proposed Bill, instead, requires no reason until 12 weeks and, after that period, it is so liberal very few abortions will be denied in practice. These significant changes should be reflected in the conscientious objection clause. Here are some possible improvements. – Pharmacists are not included in the Bill, as it refers only to doctors, nurses or midwives. This is already obsolete because nowadays, the majority of abortions are carried out not through a surgical procedure but using pills. Pharmacists working in a hospital will be forced by Minister Harris to actively participate in something that goes against their will and professional conscience. – The Bill does not include medical students and researchers. They have a conscience too and it should be protected. The same section 23 also requires the conscientious objector to “make such arrangements for the transfer of care of the pregnant woman concerned as may be necessary to enable the woman to avail of the termination of pregnancy concerned”. Minister Harris yesterday (Thursday 18th) said that this part of section 23 is in line with the Medical Council guidelines and also with the Nurses and Midwifery Board of Ireland conduct of ethics, with regard to conscientious objection. But he ignored the fact that those codes were not written in the context of the liberal regime that he is proposing. A new scenario requires new and more rigorous safeguards. The scope of the conscience clause should be expanded, so to include providing information and referrals. These are also forms of participation. Many health professionals don’t want to be involved in abortions in any form and conscientious objection encompasses more than simply not performing the intervention. Moreover, it is not clear what transfer of care implies. In order to protect conscientious objectors, the Bill should include antidiscrimination provisions that apply in the context of employment, promotion, or termination of employment. This means that being an objector should never be a reason for discrimination in the recruiting process or any other aspect of work. These antidiscrimination provisions should not be limited to workers but include the admission to training programmes such as residencies and internship or, in the case of students, the eligibility for scholarships, prizes, etc. The offices of pro-life groups have been vandalised in the past. Conscientious objector GPs are exposed to the same risk. The government has promised a separate companion piece of legislation to provide for “safe access” to abortion services. How is it going do to protect conscientious objectors from the intimidation and harassment of pro-choice protestors? The law should also protect objectors from others possible adverse consequences of following their conscience by seeking to protect both lives. These consequences are not limited to the context of employment, or formation, but could include restrictions or disciplinary actions from professional bodies that, led by pro-choice activists, that want to limit conscience rights.